Paradigm doesn’t do “ostentatious.” The most expensive single speaker the company makes is $4,500 (subwoofers notwithstanding) and that’s for a six-driver, three-way floor-standing loudspeaker that represents the company’s best-of-the-best, and is considered by many an audio aficionado to be an outstanding value. To date, the only realm into which Paradigm has never ventured is the cost-no-object, lay-it-all-out-on-the-line speaker category. That is, until now. At CES 2016, Paradigm surprised us with a speaker series it is currently calling Concept. Though Concept will ultimately comprise a full line of speakers with a center channel and bookshelf option available, its advent is so new that only the flagship tower is available for listening. Built by hand and made of exotic materials, the Concept 4F represents the pinnacle of Paradigm’s engineering prowess. And it is a marvel, indeed. Something very special happens when a company like Paradigm decides to rip its shirt off and flex its engineering muscle. Though we enjoy the excitement brought about by game-changing speakers like GoldenEar Technology’s Triton One, something very special happens when a company like Paradigm decides to rip its shirt off and flex its engineering muscle — and believe us: when it comes to engineering muscle, Paradigm is like the Incredible Hulk. Between its 230,000 square-foot facility in Mississauga, Ontario, and an Advanced Research Center in Ottawa, Paradigm owns enough anechoic chambers, measurement gear, and genius engineers to make pretty much whatever it wants happen. 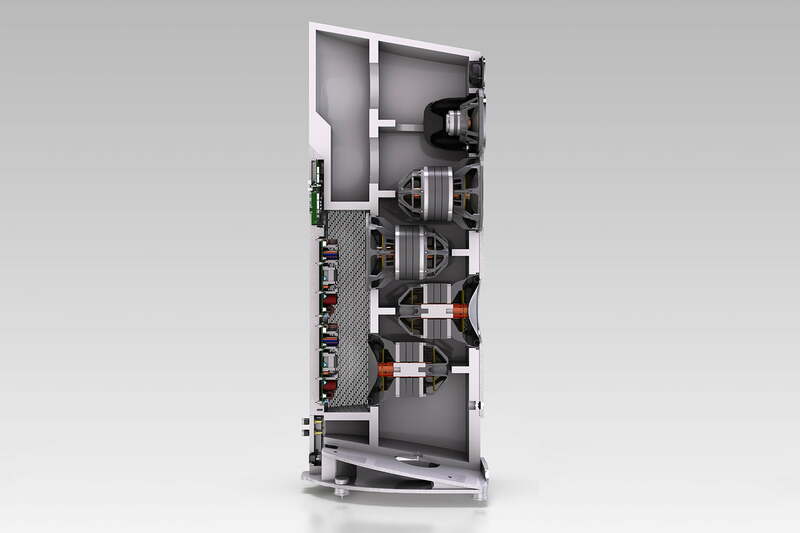 You can hear that extensive level of expertise and deep pool of resources in the Concept 4F loudspeaker. Its Pedigree is forged from two parts dedication, one part beryllium, and five parts pride (we’re rounding off here). When you say something is the absolute best you can make, you want it to sound great. The Concept 4F sounds like everything Paradigm has to its name, carefully crafted into a gorgeous block of wood, wire, and whimsy. Two sources of power bring the Concept 4F to life: The first is a pair of 700-watt amplifiers in each speaker (that’s 2,800 watts total for a pair) dedicated to bass production, the second is whatever power source you choose to bring to the table for the 7-inch beryllium midrange drivers and 1-inch beryllium tweeters. For the latter, Paradigm decided to manifest the notion of overkill in physical form by using two Anthem M1 amplifiers, each packing 1,000 watts each. You don’t need that kind of power to make the Concept 4F sing, though. With a 93db Sensitivity rating, even a respectable A/V receiver could coax some sweet sounds from these speakers … though we doubt they’ll ever be set up that way. Because the Concept’s bass output is handled by a built-in amplifier, that means Paradigm/Anthem’s well-regarded Anthem Room Correction (ARC) kit can be used with each speaker to deliver bass optimized for whatever room the speakers are placed in (ARC is, by our experience, the best consumer-level room correction system for bass available). And because each speaker boasts a total of four bass drivers, two each in the front and back, the odds of getting even bass response in a given listening space is increased considerably. What we heard would certainly back that notion up. The Concept 4F speakers produced immaculately clean, tuneful, poignant, and punchy bass that occupied every nook and cranny of a hotel room that was ostensibly free of acoustic treatments, besides the window drapes. This laid the foundation for what we found to be strikingly truthful midrange that seamlessly blended with the treble above — and we’ll add here that, though treble appreciation is a highly subjective matter, Paradigm’s tweeters really did the trick for us here. What’s more, the sound stage really was nearly “10 feet tall” as Paradigm’s Rob Sample (featured in our video above) aptly described during our audition, and the imaging properties were nothing short of eerie; we heard individual instruments occupying specific positions in space where they really had no business appearing. Also impressive was how true to the recording the speakers remained as we surfed through several genres, including selections of classical orchestra performances, acapella vocal ensembles, small jazz groups, and Beck’s latest effort, Morning Phase. At no point did we ever feel the speaker did a better job with one type of music than another. And that’s exactly what a fine speaker should do: Get out of the way of the recording and let it shine as the artists who made it intended. 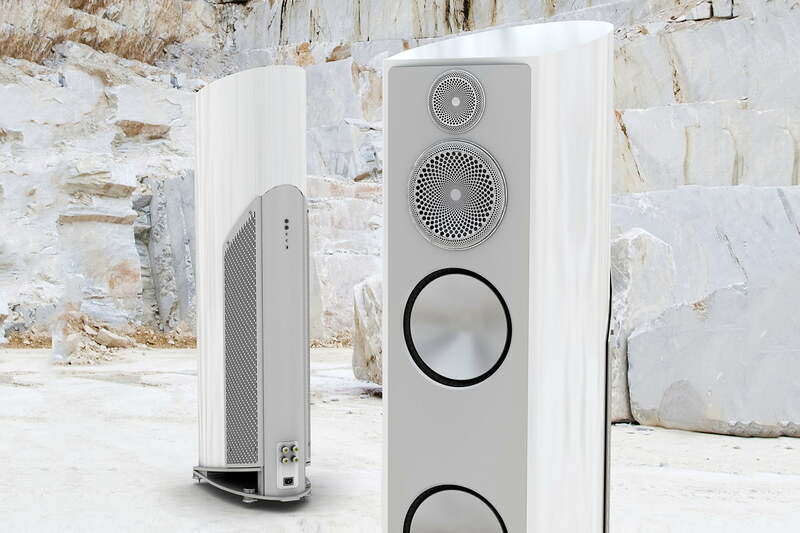 Extended listening and further scrutiny might have revealed shortcomings, but it would likely take some serious digging, and even then, whatever we found would do little to quell our enthusiasm for the speakers’ aesthetic and sonic design. Truly, this is the finest speaker Paradigm has ever made. Certainly, you’ll pay a handsome sum for a pair: just under $40,000, in fact. But when considered within the context of a high-end audio world that often begs double that for something of this caliber, we think Paradigm has done an impressive job, and certainly has something on its hands it can be extremely proud of.